Hi, I’m Robyn. 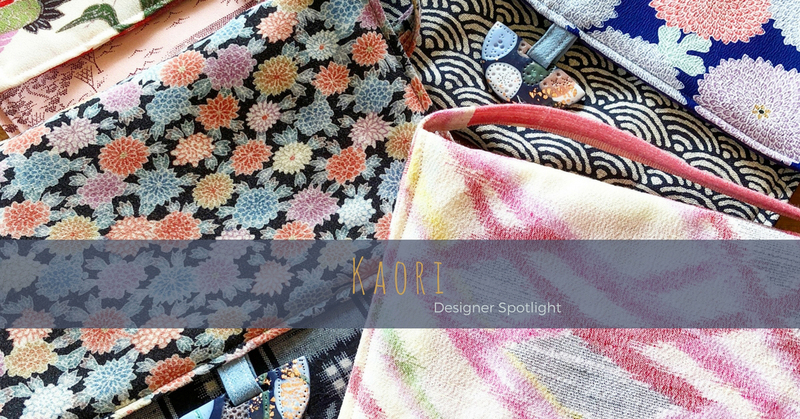 I create and sell all the colourful, handmade accessories you see in my eclectic little collection at Kaori. I source beautiful Japanese kimono fabric, and my beads are handcrafted by me from polymer clay. 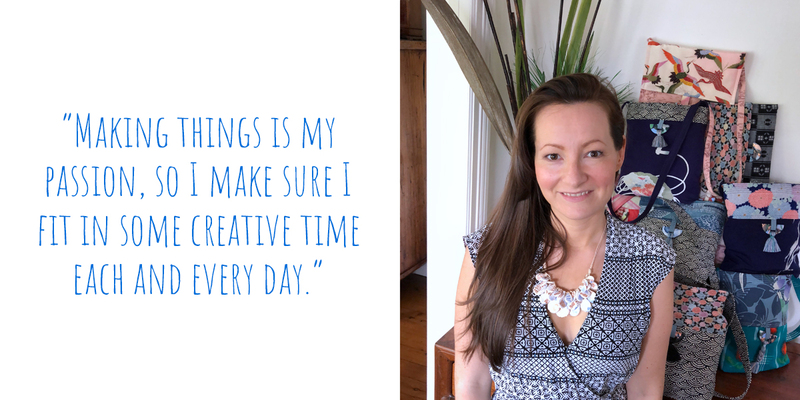 By day I work full time in an office, but making things is my passion, so I make sure I fit in some creative time each and every day. I live in a relaxing, leafy suburb just north of Sydney with my partner. Thankfully it’s nice and quiet, apart from the array of birds doing their best to recreate the sounds of Jurassic Park. My partner’s also pretty noisy, but I let him off because he seems to love my creations too. We live in a house with a lovely big back yard, which comes in handy for moments of serenity after a long day at work and inspires me to take the occasional break after hours crafting away at our dining table. I also regularly commandeer the garden when I need to dye fabric, which confuses my partner (and the birds) every time. The house is often filled with many on-the-go projects, with equipment and materials scattered around various spots, but I try to keep everything tidy and not take over the house completely! I’m definitely a prolific maker, and people always ask me where I find the time. I fit in making time wherever I can, and my partner is used to every movie we watch being accompanied by the clicking of knitting needles or sounds of me pinning together sewing projects. His favourite one is the rustling of paper bags as I pack orders ready to ship. 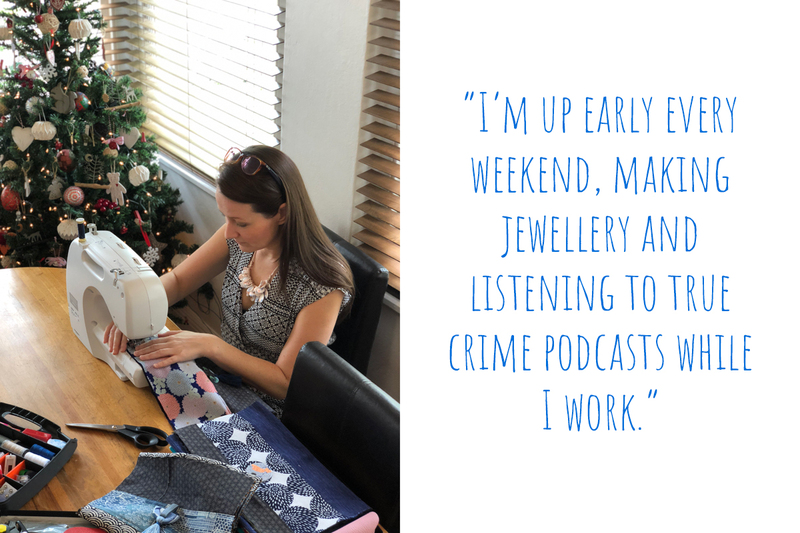 I’m up early every weekend, sometimes even before those noisy dinosaur birds, making jewellery and listening to true crime podcasts while I work. 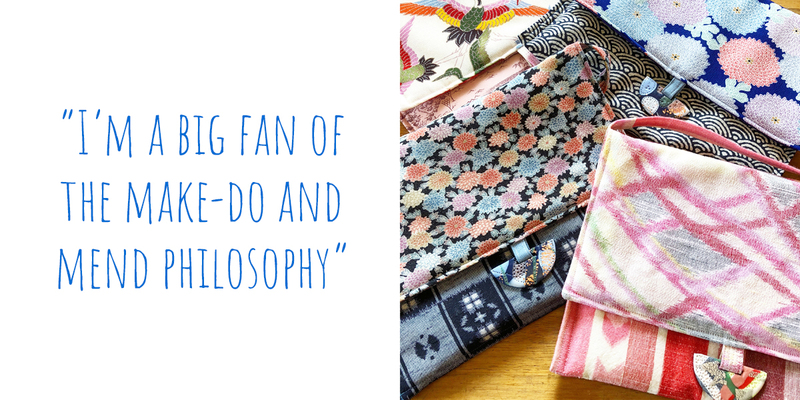 I’m inspired by colours and patterns, and by always doing something new. 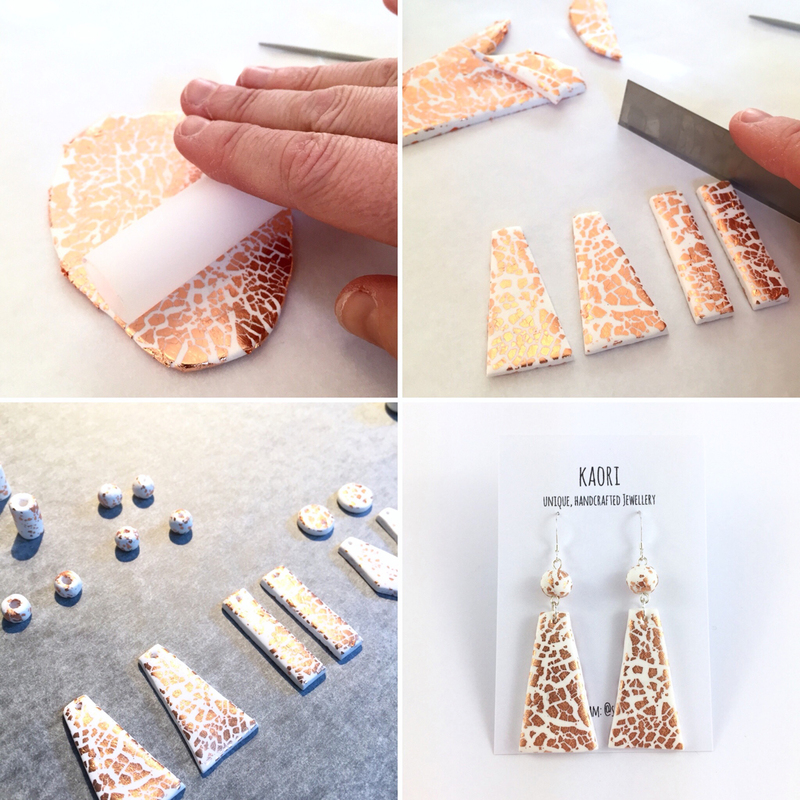 All my designs are one-of-a-kind; I start to feel a bit like a factory worker if I make anything repeatedly, so I make something new each time. 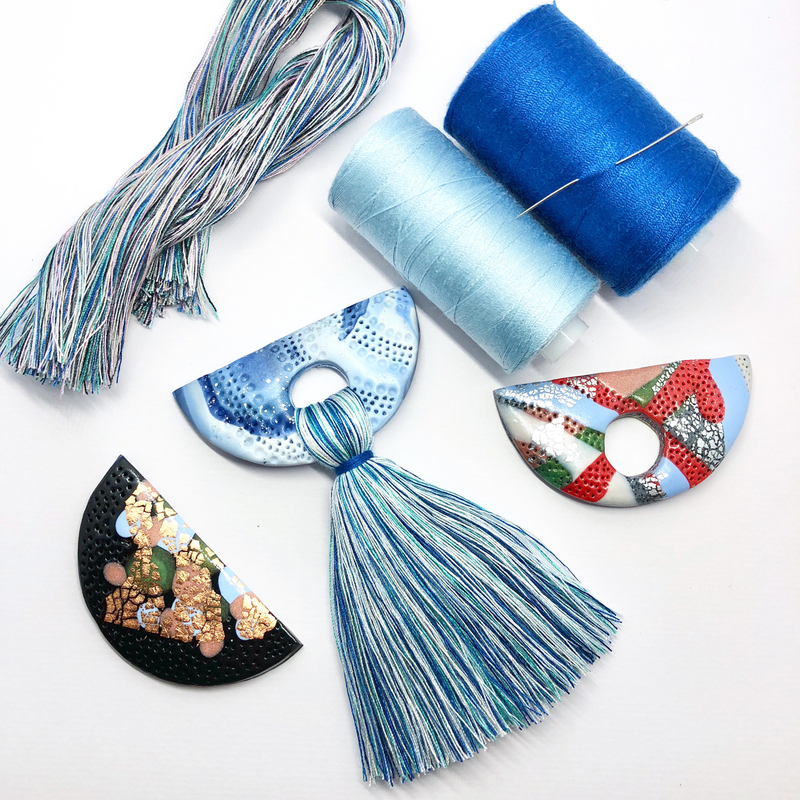 I love finding and buying interesting new fabrics and clays, then making themed collections, but my favourite part of the creative process is when I don’t have many materials or supplies, and I can piece together what I have left to make something special. I’m a big fan of the make-do and mend philosophy, so I’m all set if 2018 turns out to be the apocalypse. 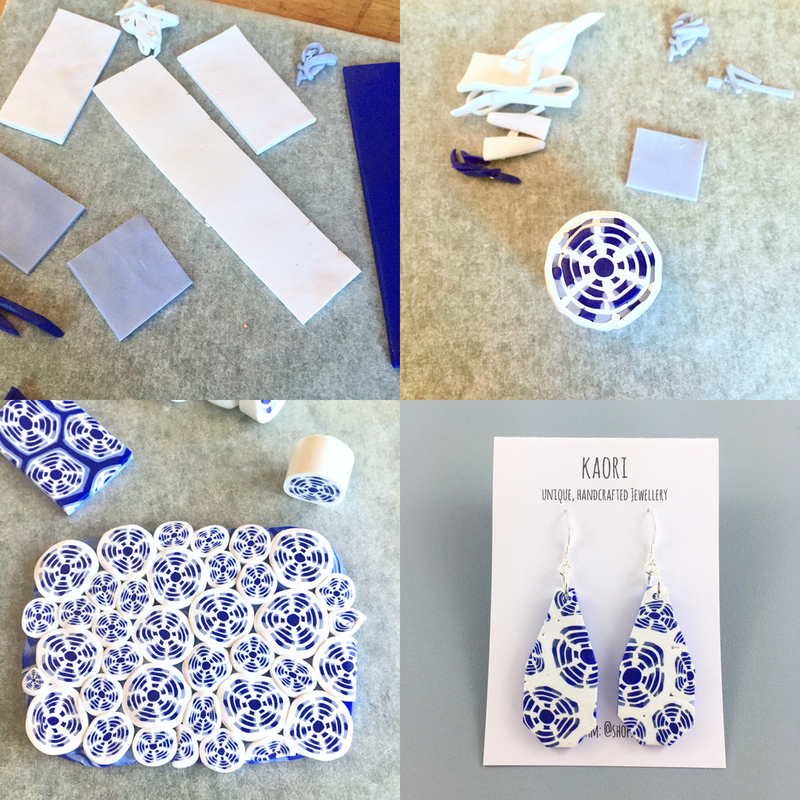 I recently started making kits that include everything to make your own necklace. 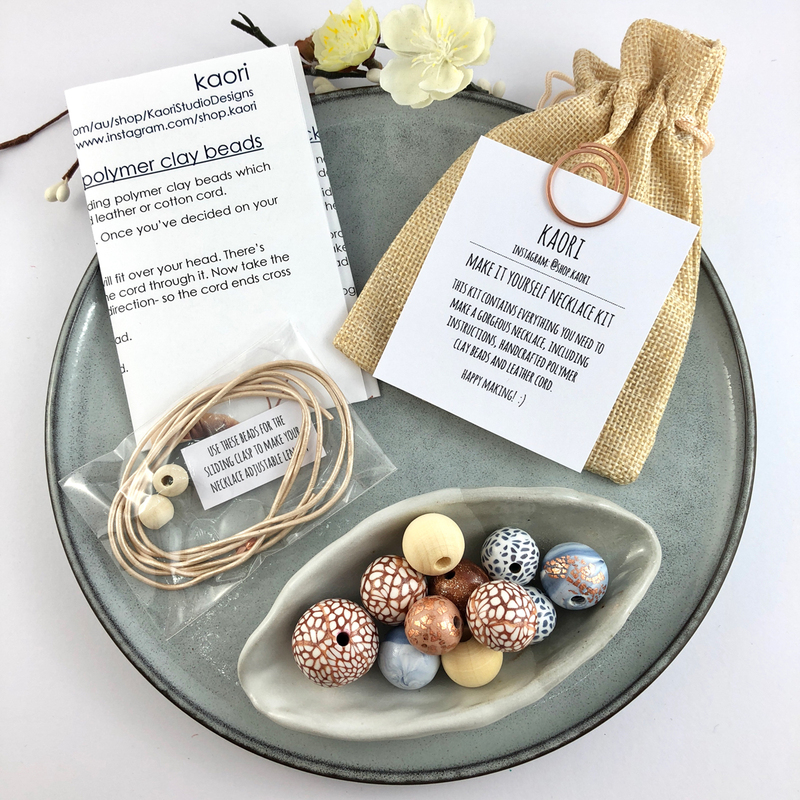 I love the idea that I make all the beads and put the kits together, then someone else creates a beautiful necklace, and might even be inspired to take up a creative hobby of their own. Crafting is so therapeutic; I can highly recommend it as a way to de-stress. I’m quite obsessed with papercraft and gift-wrapping, and packing up orders is one of my favourite things (to the bemusement yet benefit of my partner and friends). I make my own packaging and I gift wrap every piece. I love the idea that whether someone is buying a gift, or a treat for themselves, they’ll have a special package to open. I’ve been a maker since I was very young. I was about four or five when I started making jewellery and working with polymer clay, and I’ve loved it ever since. There’s always something new to learn or a new technique to try. Most people think I must be very patient to make all these things, but I’m actually the opposite; I’m always excited to finish a project and try something new! 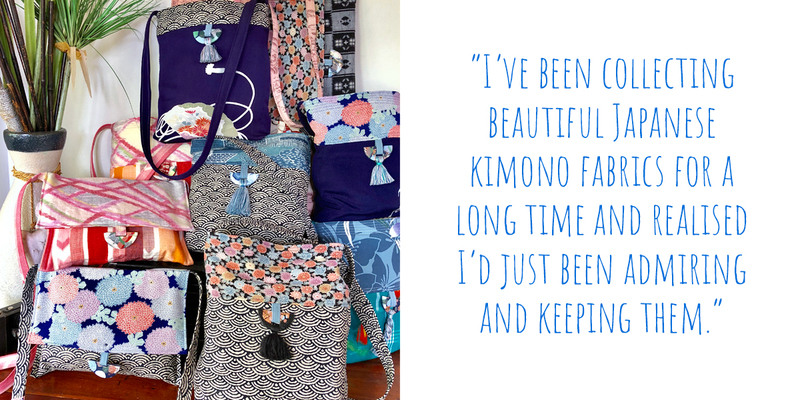 I’ve been collecting beautiful Japanese kimono fabrics for a long time and realised I’d just been admiring and keeping them. 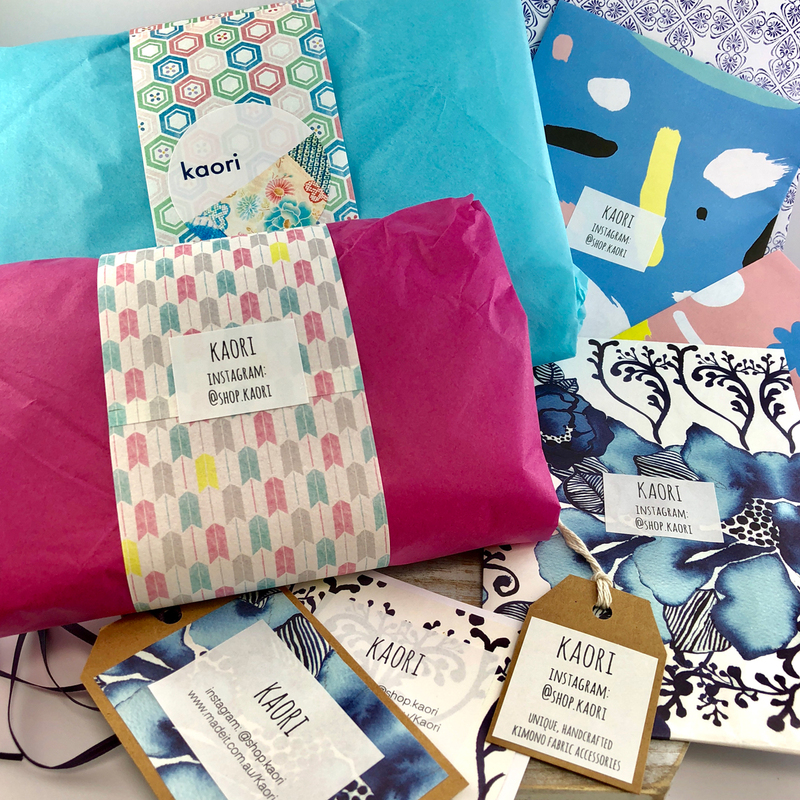 So just over a year ago, I opened Kaori, and created bags and accessories from all the beautiful fabrics I’d collected. Kaori is the name of a Japanese exchange student friend I met when I was a teenager. Unfortunately, we’ve lost touch now, we didn’t have email back then! I’m thankful for technology now that I can run my business from my phone and Madeit is such an easy to use platform, with fantastic support for makers. 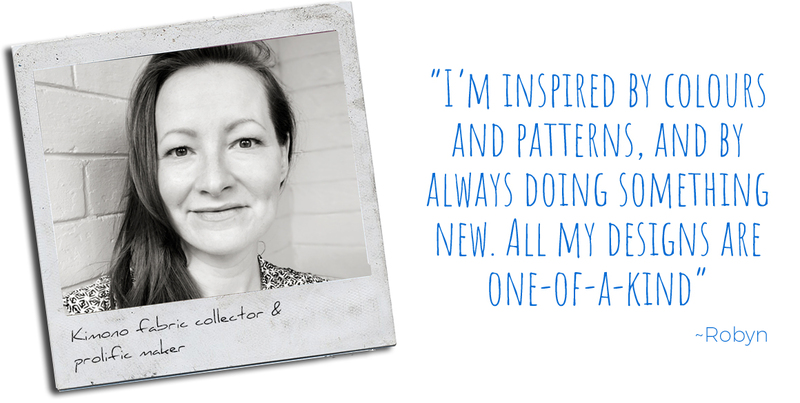 I love handmade because it’s meditative “me time”. I feel great when I have some creative time every day and make pieces that are unique. 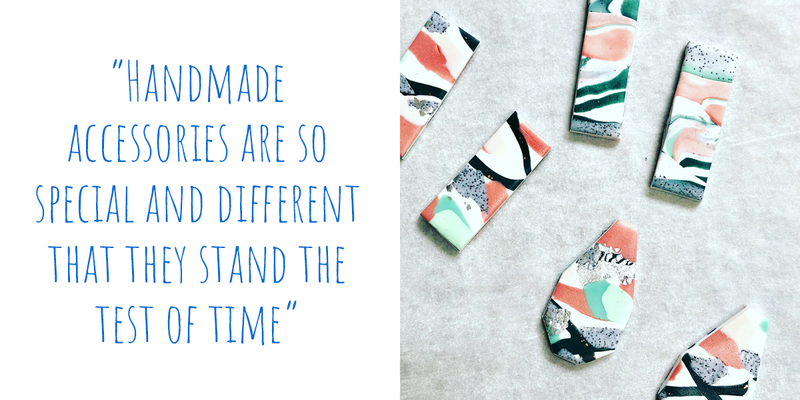 It’s wonderful to see everyone in the handmade community making one of a kind pieces with so much love and care. 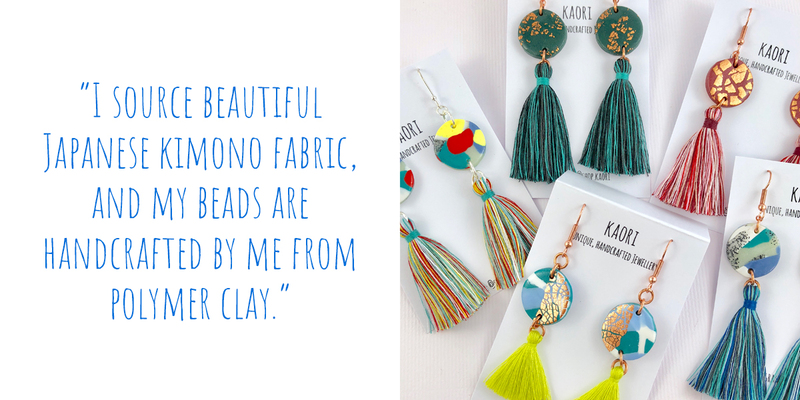 I think that, regardless of what’s in fashion, handmade accessories are so special and different that they stand the test of time and can be treasured forever; they’re always a statement piece. 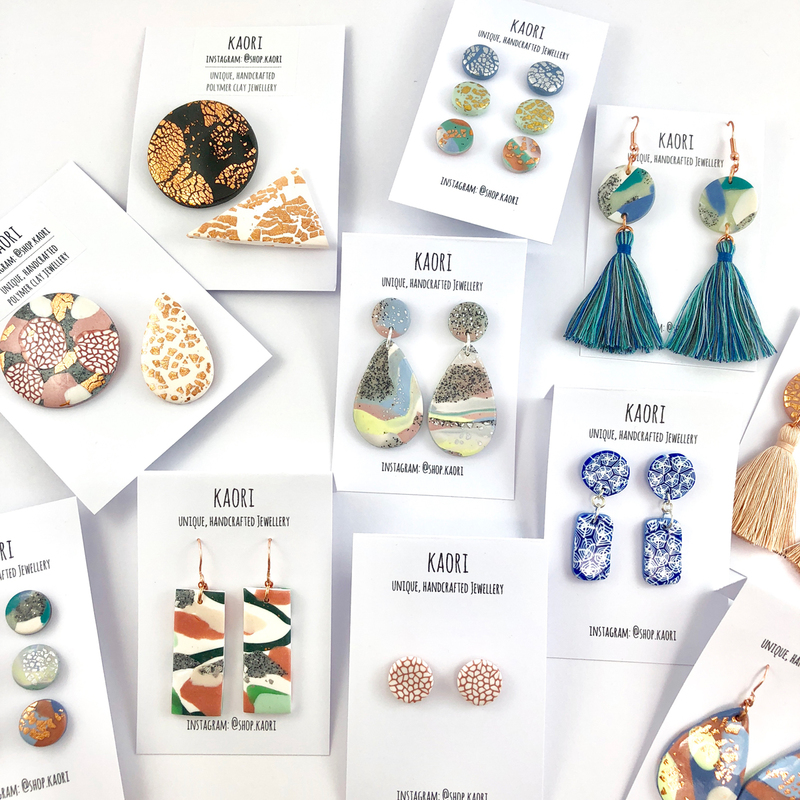 Made It is such a supportive, wonderful community of sellers and customers, and it’s great to have an Aussie selling platform! So many of my customers are from relatively remote areas, and it’s exciting when my pieces go to places I’ve never been to! I’ve got so many ideas for Kaori for 2018 and I can’t wait to get started on them.